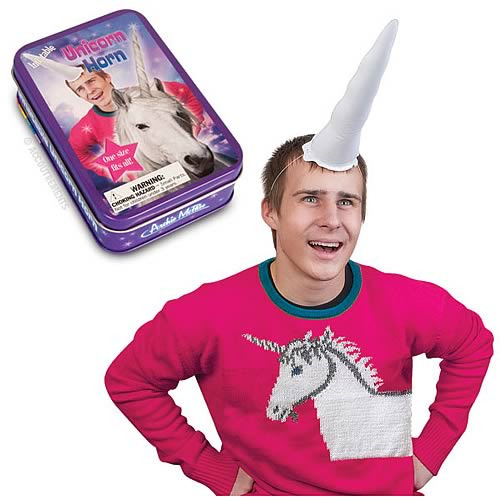 Your inner unicorn is screaming to come out at the most inopportune times. What are you supposed to do? The next time you hear that mystical whinny, just take your vinyl Inflatable Unicorn Horn out of its tin, blow it up and put the elastic strap around your head. Suddenly you are a unicorn! Could turn even a short elevator ride into a statement about you being a unicorn. 11-inches long. Ages 4 and up.